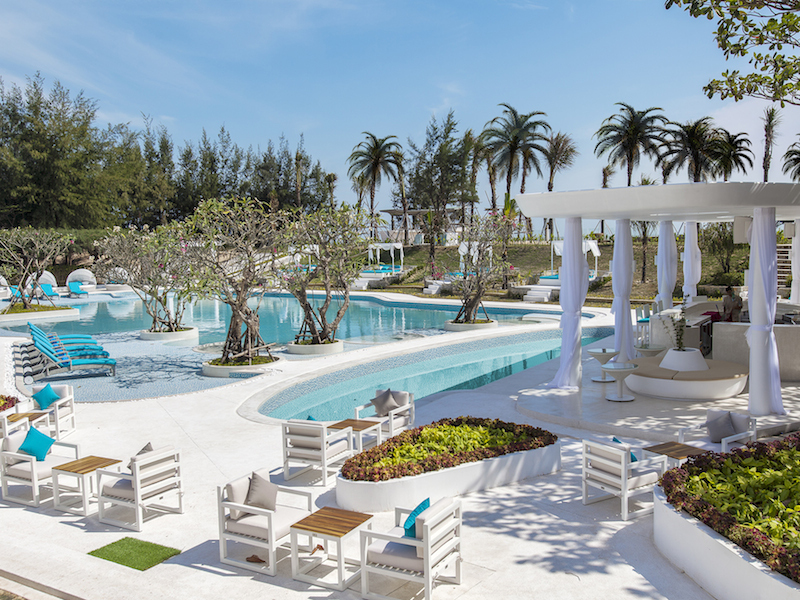 Alma Oasis Long Hai is literally an oasis just 90 minutes away from Saigon. Alma Oasis Long Hai is designed to be the perfect idyllic resort for anyone wishing to spend a peaceful beach holiday whilst being surrounded by lush greenery and a gorgeous hilltop panoramic view. So close to Ho Chi Minh City, its accessibility makes it even more inviting. With a low-density built-up area and only low rise structures, you’ll find an open freshness at Alma Oasis Long Hai that is uplifting and truly relaxing. Double or twin rooms, quaintly housed in bungalows scattered over the undulating hill slopes, offer a lovely range of accommodation. 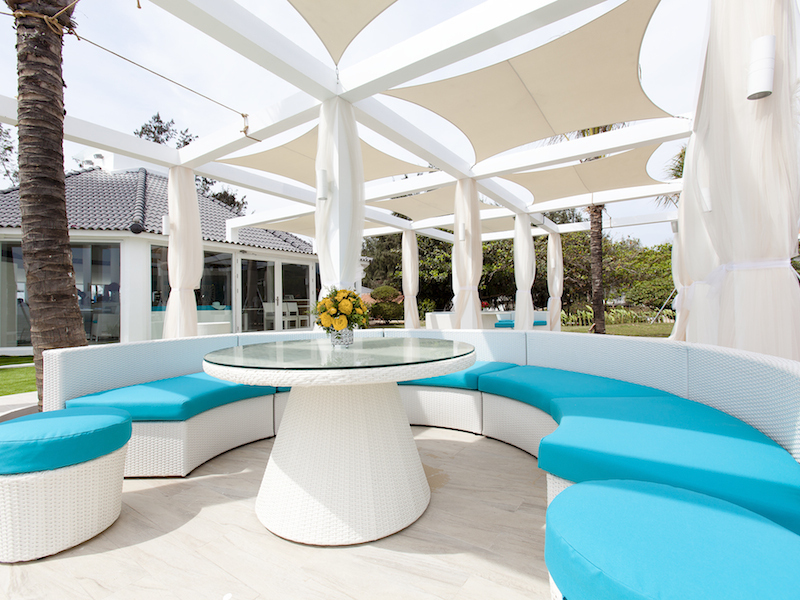 Rooms are spacious, with patios or balconies for outdoor lounging with garden and ocean views. The Ocean Family Pavilions are ideal for families with two young children, as a twin room is cleverly integrated into the main double room. 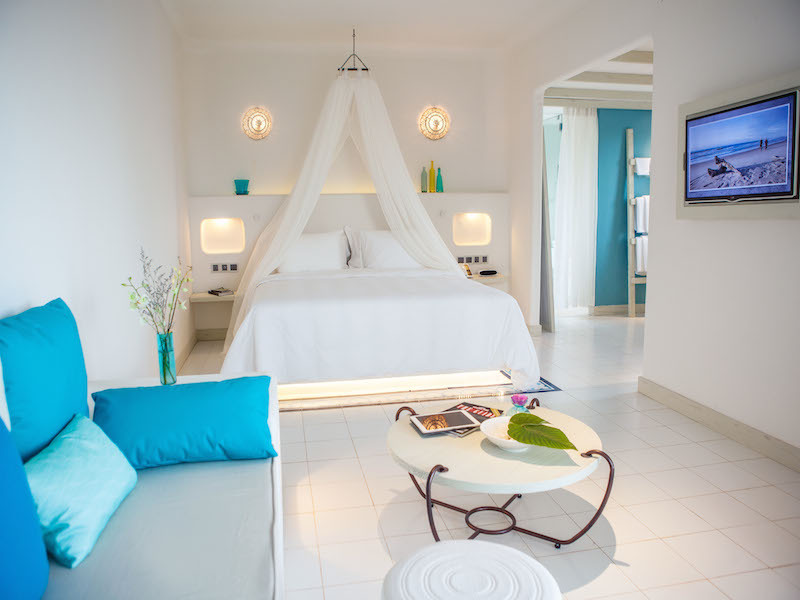 The rooms are well-appointed with modern décor and fresh colour schemes that bring the calm ocean feeling indoors. Bathrooms are ensuites, most with seductive outdoor bathtubs. Espresso machines, bluetooth speakers, comfy beds with fluffy pillows and ambient adjustable lighting are just part of what makes a stay at Alma Oasis Long Hai such a wonderful treat. For luxurious living, there are the five villas located on a more secluded part of the hilltop. Each villa has a private swimming pool set in a garden-surrounded courtyard, with a delightful outdoor lounge area, and absolutely stunning views. 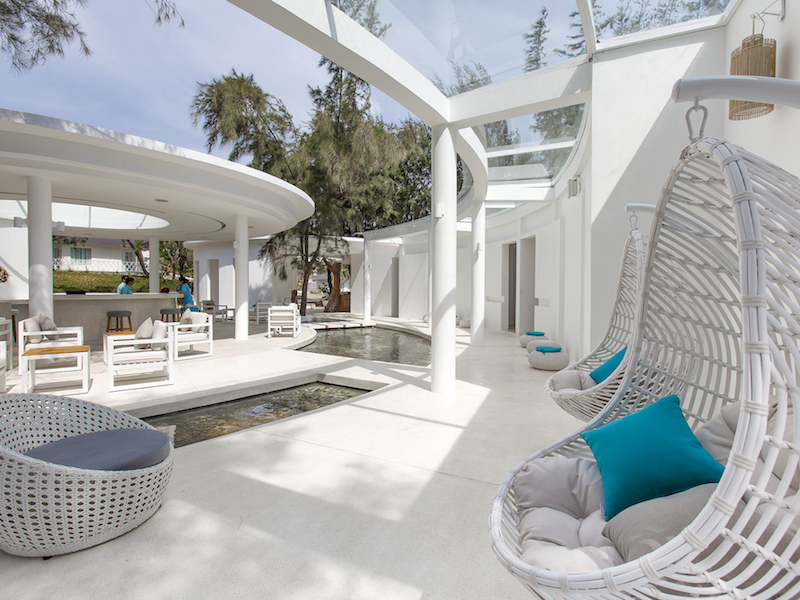 Choose either two-bedroom or three-bedroom villas, all with ensuite bathrooms, walk-in showers and outdoor bathtubs. Separate living-dining areas, and well- equipped kitchenettes provide additional comfort. The largest villa has four bedrooms and is right on the beachfront – step out of your pool into the ocean! Not quite, but the Beachfront Pool Villa is on a prime spot. 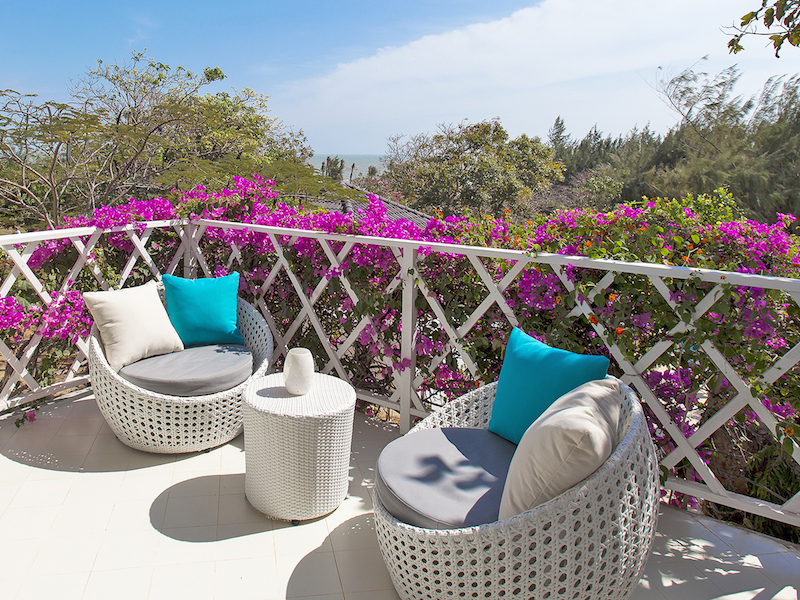 Whether rooms or villas, Alma Oasis Long Hai with its beautiful gardens and pathways that lead you down to quiet white sandy beaches is an idyllic must-stay resort. Historically a site for the private residence of Bao Dai, Vietnam’s last emperor, Alma Oasis Long Hai is all about discovering yourself in a charming local culture of simplicity, with heartwarming people sharing local hospitality and quaint journeys to traditional fishing villages and surrounding markets.